On the 28th of August, I took part in an ‘Intelligence Squared‘ debate held by The Ethics Centre, around the topic ‘It’s too soon to end fossil fuels’. Me and my fellow speaker Lisa Cox, from the Guardian, were on the negative of that motion. Cecile Wake, VP of Commercial at Shell Australia and Josh Manuatu, president of the Young Liberals, were on the positive. Below is the speech I gave, annotated with links and pics from the night. Enjoy! Now is not the time to end fossil fuels. The time to end fossil fuels was thirty years ago, when we learnt their benefits come paired with a secret and serious harm. They cause the catastrophic warming of the atmospheric and oceanic systems that sustain humanity. As far back as the mid 20th century, scientists began pulling strings of causal connection between the burning of fossil fuels and measured increases in global temperatures. Converging lines of independent and heavily reviewed science point to the same answer. It’s us. We have never been so sure of something in the history of scientific inquiry. Privately, scientists in fossil fuel companies were sure of it too. Internal documents spoke of ‘general scientific agreement’ that fossil fuels cause warming. Yet they still chose to plant doubts around climate change, channelled through think-tanks and misinformation. These were bad enough, but climate denial became supercharged when it became deeply politicised. To the best of my knowledge, the molecular composition of the Earth’s atmosphere doesn’t hold party membership, but the climate has become deeply infected with political meaning. Personality and identity fuel this phenomenon. Those who define themselves as against government intervention decided they must also define themselves as against the science, to protect their beliefs. Climate denial is industrial strength identity politics with species-level consequences. 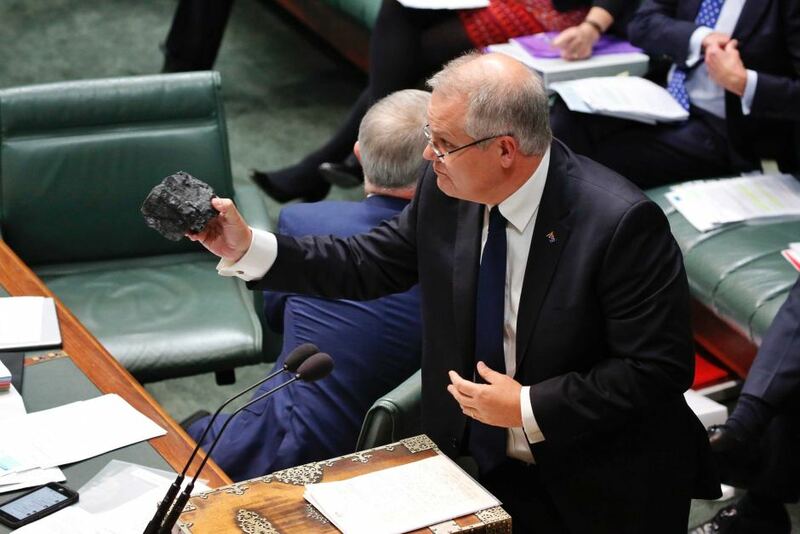 We have fallen so deep in this void that our new prime minister once openly clutched a lump of coal in parliament. This rock had been coated in lacquer to protect those who hold it from lingering black stains, by the fossil fuels lobby group that provided it. More recently, former Prime Ministers tell media outlets that carbon emissions are natural, harmless and good for life. Governments choose self-destruction over the realisation of policies that contains the word ‘emissions’. Climate action is a monster that eats Prime Ministers. This is no accident. It’s not about ideology, or idiocy. As zero emissions tech becomes cheaper than coal, those who once argued against intervention now want to force companies to keep decaying coal fired power stations running past their use by date, and to force taxpayers to fund building new ones. These pendulum swings go deeper than ideology. Every sincere effort to follow the science and rapidly reduce emissions in Australia has been flattened by a freight train of emotional denialism. Now, fossil fuels have grown their roots deeper into society. We are literally surrounded by the consequences. Since the 1970s, global CO2 emissions have more than doubled. Earth’s average surface temperature has risen just under one degree celsius, with every new year bringing a slew of broken records. We’ve always had bushfires and drought, but the trapping of heat inside the Earth’s climate system is a steroid hit to these disasters, making them worse, and more frequent. Overlaid above natural variations in the climate system is the fingerprint of humanity. The chemical cradle of our species is not yet broken, but it is breaking. This atmospheric disaster is the return on investment for those who pulled the starter pistol on history’s most dangerous pseudoscience, in the late 20th century. How do we fix it as fast we need to? The electricity grid should be easiest to decarbonise. It is managed through the symphonic wizardry of dispatch and scheduling, ranging from millisecond tweaks in frequency control to decades-long forecasts. I’d watch this in real time, back when I worked in wind farm analysis and monitoring. It isn’t coal that keeps your lights on. It’s human ingenuity, channeled through the funnels of science and engineering. The rapid decarbonisation of electricity means harnessing machines that are flexible, dispatchable, digitised and clean. At the end of each wind farm monitoring shift, I’d walk past the morning papers, and see articles butchering the math with clumsy misinformation. 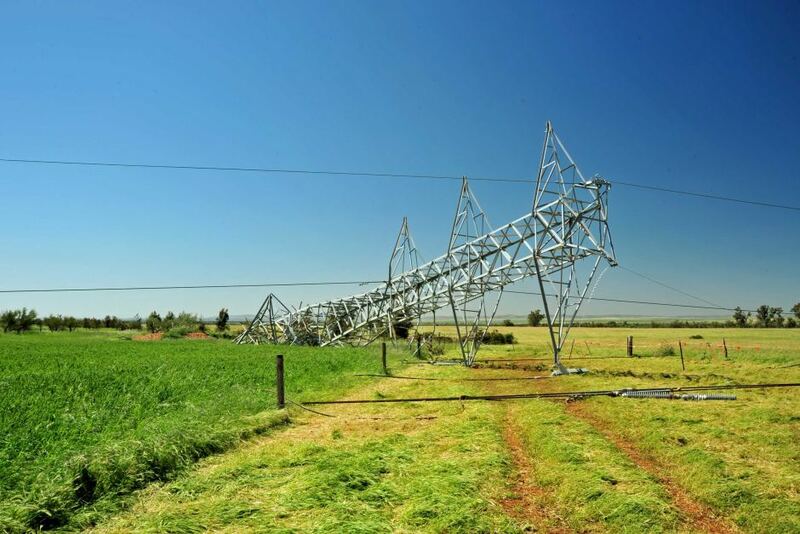 A memorable example is a 2016 blackout in South Australia was blamed solely on wind farms, despite being caused by a cascade of failures triggered by a storm. Blackouts are complex and rare – the perfect plasticine for the anxious to shape a crisis when they need one. It’s not all bad news. Last Saturday, a lightning strikes on a key transmission line caused a major blackout across Sydney. A former major party leader (and near prime-minister) blamed that on immigrants. I’m happy to wear responsibility for this one if it brings a brief, welcome reprieve to zero emissions technology. On behalf of brown people everywhere, I am truly sorry for commanding those lightning strikes. It’s easy to jab a stick in the spokes of urgent invention. Ask the anti-vaccination lobby. We have been going slow at decarbonisation, not because we are incapable of going fast but because it is so easy to sabotage change. Without these delays, we could be a global technological powerhouse. We could lead the world in zero emissions agriculture, biofuels, and large-scale energy storage. Right now, when it comes to zero emission tech, all we export are experts. Now, we are told wait until power bills are lower before we act on climate. They have risen massively over the past decade, and we know with certainty that the biggest reason for that has been over-investment in network infrastructure, alongside the concentration of market power and rising gas prices. Energy experts know this, but they are mysteries to everyone else. It is easy, then, to lie, and say that our bills are high because of solar panels, wind turbines and emissions reductions policies. These messages hit home. We lost world-leading carbon regulation because price rises due to network spending coincided with its introduction, and the majority of us turned against it. How many of you are ripping open incredibly cheap bills, now that our coal-dominated electricity grid pollutes without consequence? How disgustingly simple it is for the cruel and the callous to destroy fragile climate policy. It’s nauseating to spectate how tolerant we’ve become of damaging humanity for short term reward. The bills and emissions dichotomy is fictional. Emissions are also the cost of electricity, but they’re costs we are consciously choosing to defer – onto other people in the world more exposed to impacts, to teenagers, children and a cohort of people yet to be born. It is not untrue to say that detaching our species from fossil fuels quickly comes at a cost, including job losses. Those jobs could have been fairly transitioned if we started decarbonising when we should have, back in the eighties and nineties. We can start preparing for the shutdown of power stations and mines that form the bedrock of communities right now, with the livelihood of those people in mind. There is already broad public support for a rapid transition, with the latest Lowy Institute poll finding that 84% of Australians support a government focus on renewables, even if that means more investment in infrastructure, and nearly 60% support immediate action that involves significant costs. This was 36% in 2012. We’re seeing fingers of sunlight through the black fog. I don’t want to be remembered as the generation that was faced with the most certain scientific warning of catastrophe in the history of our species, and responded with a plea for immediate comfort at the price of massive future pain. We are so desensitised and so exhausted. I understand the temptation to believe that we are incapable of saving ourselves as fast as we need to, because so many past delays have been so effective. But we can do this, if we bring a refreshed focus on fairness of benefits, and a full-throated summoning of the technological, scientific prowess of our species. I don’t subscribe to the idea that Australians are incapable of leading the world in the science of energy upgrade, nor do I think we’re too short-sighted to make a rapid transition fair, equitable and empathetic to those most vulnerable – perhaps the most important component of a fast transition from fossil fuels. We can be the generation that builds technological responsibility and a pro-human philosophy into our cultural DNA. We are faced with a new catalogue of fictions, pleading for delay as the walls of our trap thicken. We don’t need to subscribe to the idea that we are not good enough to rapidly resolve this problem. Once we get that, the power of human invention will do the rest.